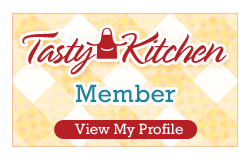 Since it's a new year, I thought I might add a new twist to my blog by including recommendations for cookbooks and other kitchen items. 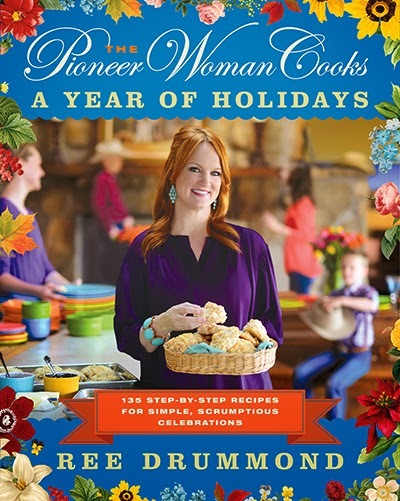 I adore Ree Drummond, and actually followed her blog, The Pioneer Woman, before she became "famous." I even "met" her last year when we traveling home from Kansas City. What a joy! Here's her newest cookbook, which is available at all bookstores, and I've seen it in Walmart. You can order it online at Barnes and Noble HERE. Ree Drummond launched her Pioneer Woman blog in 2006, but it was almost year before she found the confidence to publish her first recipe. What began as a steak tutorial became an internet, and then a book and Food Network sensation, and now Ree is back with her first year-round holiday cookbook. As her blogging devotees already suspected, this prettily package hardcover contains not only a full bounty of recipes for holiday gatherings and family meals; but also the step-by-step photos that have helped make Drummond such an online favorite. A Year of Holiday helps you through all four seasons with everything from breakfast and brunches to lunches, dinner, parties, and feasts. Ree Drummond began blogging in 2006 and has built an award-winning website, where she shares recipes, showcases her photography, and documents her hilarious transition from city life to ranch wife. 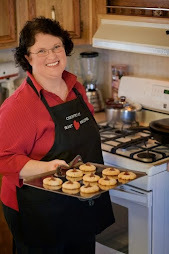 She is the author of the #1 New York Times bestselling books Charlie the Ranch Dog, The Pioneer Woman Cooks, and The Pioneer Woman Cooks: Food from My Frontier as well as Charlie and the Christmas Kitty,Charlie Goes to School, and his I Can Read adventures. Ree lives on a working cattle ranch near Pawhuska, Oklahoma, with her husband, Ladd; their four kids; Charlie; Abigail; and lots of other animals.